Almaty, the second city and previous capital of Kazakhstan, felt like Europe to us. Expensive Burger King, household appliances, large super markets, food courts and even proper dental care. It was nice to be in a place where we could enjoy some luxuries, although we were missing the off the beaten track feel of the places we had previously been. Luckily at some places we could retrieve the central Asian feeling, such as at the bazar where everything was packed in plastic bags again. 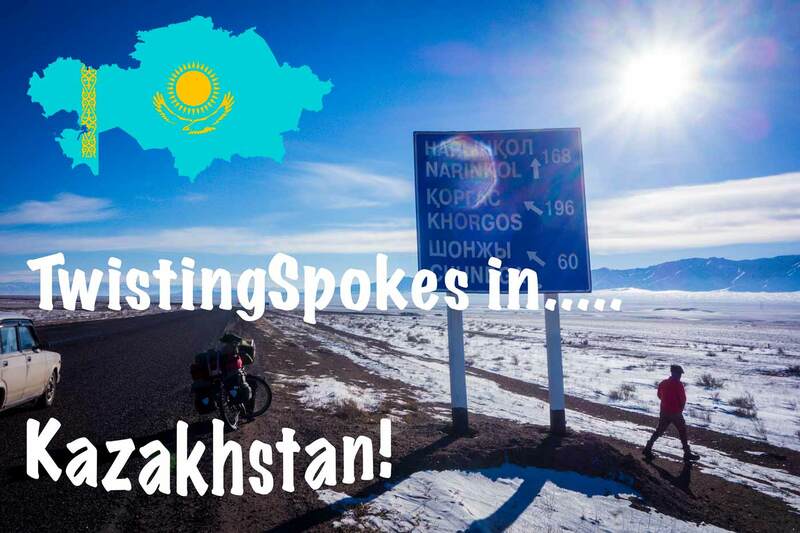 We have approached the end of the road in Central Asia: the final chapter. From the moment we left Almaty however, the central Asian feeling was back. The day before it had snowed a bucketload of snow (lucky us) so we were back slipping and sliding around again. 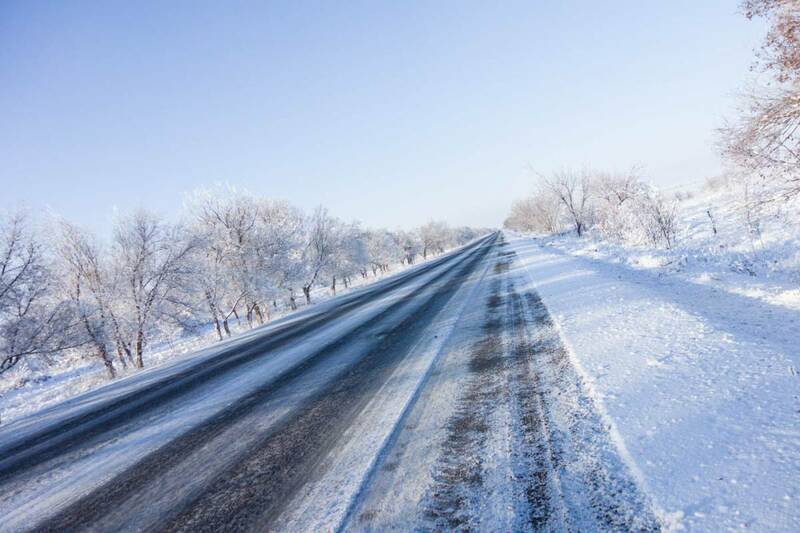 Luckily this time we had our studded tires on Mojo and Isaba which gave us a much more stable footing on the road. We were in no time stress and really just wanted to enjoy the last week in Kazakhstan. We were back in rural Kazakhstan and were enjoying winter cycling with nice views. We cycled to Shilik where we enjoyed the night in a Guestenica. It was nice for us to escape the cold again a little bit. When falling asleep we had some background noises of two people having ‘fun’ and during the night we were awoken by a drunken man walking down the hallway calling out ‘dewizcka’, which means woman in Russian. Apparently he was in search of women and even tried to get into our room. Mojo and Isaba were locked up in the hallway so we were a little bit worried about them but it was all okay. From here on the road started to become more interesting again. There was still snow and traffic, but also some hills and we were climbing upwards through Kokpek gorge. We had a nicely timed truck stop where we could eat some Laghman before reaching the small village of Kokpek. We hoped we could stay in one of the restaurants because the guesthouse was closed but no luck this time. Eventually we asked the last house of the village and we could sleep in their ‘machina’. The truck had a stove which we could fire up with cow dung. It was so hot we almost couldn’t fall asleep! And then it became too cold and we were shivering in our sleeping bags. It was minus 24 outside and the truck without the fire felt like a fridge. Next morning was hard to start and it was minus 18 outside. But we made it and were on our bicycles on our way to Charyn Canyon. Zharkent was unexpectedly pleasant for being a bordertown. Okay, it is still 35 km from the border but previous experiences with these kind a places have been a bit grim. We managed to find a nice Guestenica this time even with a shower! So we were happy people 🙂 we found a restaurant that would become our regular where they even had pancakes, at least most of the time. The bazar was a lot of fun. We needed to stock up again because we were not sure when and where in China we would be able to find food. We walked around the bazar multiple times. It is always hard to get our bearings the first time at a bazar, but here the organizing was done quite well with different colored stalls in different sections. People always ask where we are from and on day two people were already stating ‘Gallandia’. Apparently word goes around and people had been talking about us 🙂 it was a fun experience! Zharkent also has two interesting religious buildings a Russian Orthodox Church and a mosque. Zharkent Mosque is a magnificent building of the 19th century, its architecture combines motifs of Central Asian and Chinese architecture. The exterior of the building architecture used items such as “floating roof” with curved ends up the ramp gallery around the building with cylindrical columns. After the earthquake which happened in 1910, the mosque was badly damaged, and then in 1975-1978 restored. Finally we had crossed the first border post and were on our way to customs. It was a 3 km ride over a very icy and slippery road. 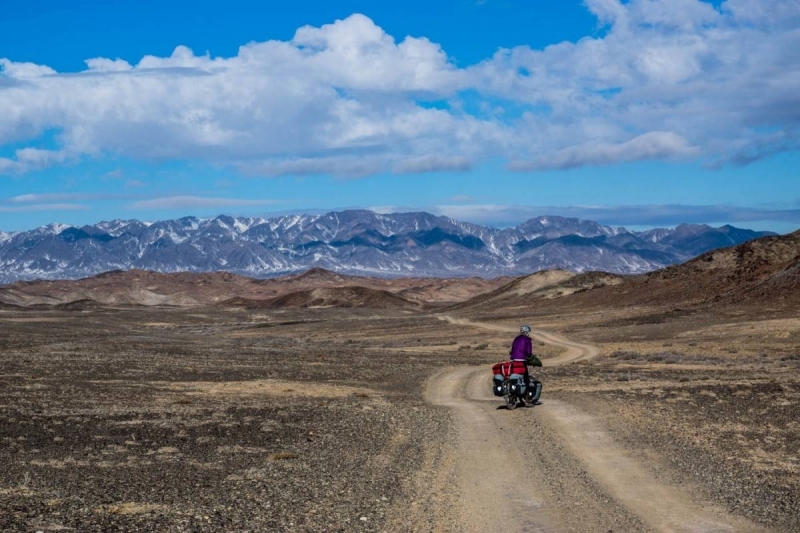 There were some dogs, Susanne braked and she was on the road with the bike… Not the most practical exit of a country but only her knee was bruised and it was time to enter China. Very very excited what the new stage of our trip will bring! Hi Pedro, Thank you and a very great new year for you too! Martin and Suz, Our paths finally crossed – i remember these places. You’re in Khorgos now right? I crossed into Khorgos about this time 8 years ago. I vaguely remember Charyn Canyon, there was such a storm that day i’m not sure about it now. You two seem to be fully in it right now, in cycling zen. Ham ! Nice to hear from you hope you two are doing well in Turkey. Finally we followed in too your tracks! We are now in Urumqi I have become one with my bicycle 🙂 I plan to cycle through Mongolia to Ulaanbaatar where i will reunite with Suus. Have a great 2015! Well, here’s a belated Happy Christmas to you both and I am so happy you have made it as far as you have. Having cycled solo from Scotland to Morocco March until June this year, I know about ups and downs, but you two have excelled and shown how it’s really done and you have taken the time to share all this with us…which is more than I have done. I have a diary full of entries, but have not published anything yet. You are both a massive inspiration to me and it is making me think about another trip maybe following in the same sort of route, but not as fast. How you are managing to understand the different languages is fantastic. I’d be interested to know how much the whole trip cost when you get back. Here’s to a wonderful and safe trip for the rest of your tour and of course Happy New Year for 2015! Peace be with you Martin and Susanne. Interesting reading………and the photo’s ! Wow! We are glad you enjoyed the reading 🙂 Happy New year!